The Hotel VIK Gran Costa Del Sol enjoys a beachfront location in Butibamba, one of the most emblematic municipalities of Mijas. 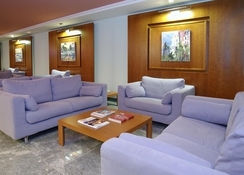 The hotel offers 300 guestrooms spread over six floors and a wide range of leisure activities. The property is a favourite among travellers thanks to the guestrooms offering spectacular views of the beach and its wide gastronomic offering which include an extensive buffet. During the summer months, the pool also offers bar service in addition to its indoor cafeteria. At the hotel guests can make use of different leisure options such as pool table, billiards or archery, while a few meters from its facilities you will find golf courses, playgrounds and tennis clubs. 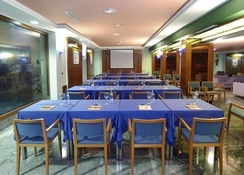 Hotel VIK Gran Costa Del Sol is located in the area known as La Cala de Mijas in the municipality of Mijas Costa. From there, you can reach Fuengirola in 20 minutes, where you can visit its emblematic zoo and its marina. Marbella, one of the most luxurious places on the Spanish coast, is only a few kilometres from the hotel. The beautiful village of ​​Mijas Pueblo, where you can ride a donkey-taxi while taking in the beautiful views of the mountains, is only 20km. Hotel VIK Gran Costa Del Sol offers 300 guestrooms and two suites with sea views and a terrace, wooden floors and a complete bathroom with an assorted welcome kit. Rooms at the hotel feature a telephone both in the room and in the bathroom, and a mini-fridge among other amenities. guests can choose between 250 standard rooms or 50 family rooms, designed to accommodate up to four people, as well as from two suites. Hotel VIK Gran Costa Del has a cafeteria serving buffet meals and a pool bar serving cocktails, wines and house spirits. The buffet meals offer you authentic Spanish and international cuisine and the hotel organises show cooking as well. Guests of the hotel can enjoy its outdoor swimming pool in which different entertainment activities are carried out (only in summer). They can also practice table tennis, archery or attend evening shows that also include live music. Guests have at their disposal several rooms, highlighting a library with titles in several languages, they can also hire a massage service or rent bicycles. Free Wi-Fi and secure paid parking are other facilities offered by this hotel to ensure a perfect stay. Excellent hotel, lovely staff, although reception would not ring out to our transfer people! Only hotel ever that did decline. But it didn’t spoil our break. My friend and I had a great time at Vik Gran. We were able to visit different places using a very good local bus service. The hotel staff were very helpful and friendly. There is a beautiful board walk along the coast with beer garden and restaurants dotted along it. Food in the hotel was varied,and tasty my only criticism is the plastic jam and lack of honey at breakfast. I just had to have chocolate spread instead. Thank you everyone for a lovely holiday. Location perfect. Rooms ok but no attention to detail, balls of fluff and dust there all week. Food was acceptable. The main attraction is the location.